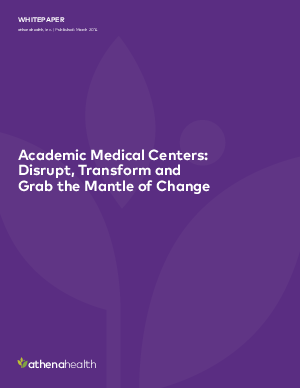 Academic Medical Centers face huge financial pressures on their clinical, education, and research activities. The winners of the future state of health care will be those that radically transform their philosophy and approach to achieving their important missions. They must focus on what they have power over, question long-held assumptions, and disrupt entrenched models and mindsets. Align margins to fuel the mission. Focus relentlessly on achieving and measuring quality. Plug holes and pick low-hanging fruit.